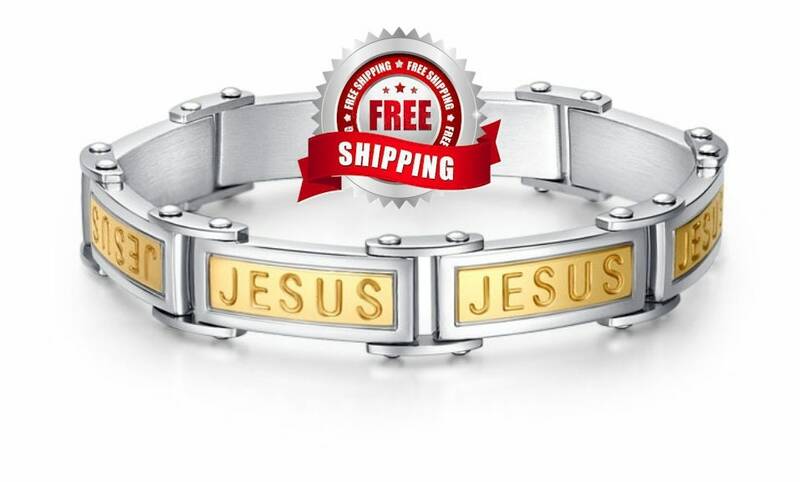 What a great way to display your faith at such a great price! 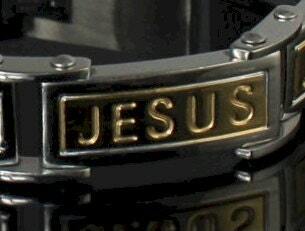 This exclusive design has Stamped/14k Gold plated JESUS over Stainless Steel every other link! The 2Tone design is rich and the profile is slim. The bracelet sits low on your wrist so it will never get in the way of your shirt or coat sleeves. Our exclusive designed Bracelet comes with a positive locking link so it cannot come off by accident. The length fits up to 8 1/2" wrists. 1/8" thick x 1/2" wide. 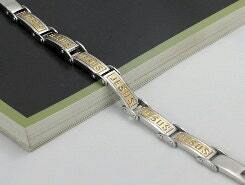 This all Stainless Steel bracelet will retain it's luster for many years to come.